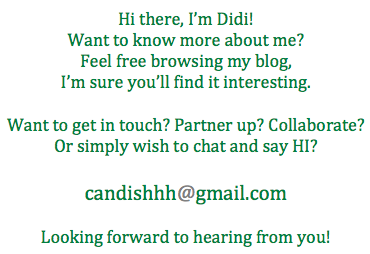 I have to be very honest. 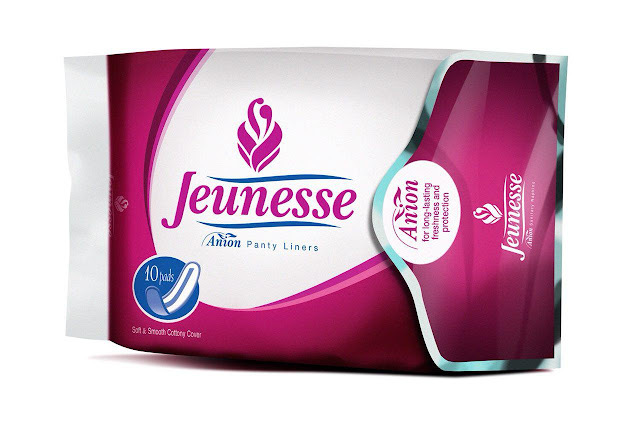 I have not heard of the brand Jeunesse Anion (a line of feminine pads). I see it a few times on my FB feed and assumed it was imported. My friend Kaye swears by this brand. She even bought a box huge box of it. He daughter Kyla is also a huge fan of the brand. I honestly wanted to try it out, unfortunately it isn't available in my favorite grocery store. A few months ago, I was sent a few packs to try. I was really curious. I felt though, that one time use might not be enough to be able to feel the difference. I was honestly pessimistic, I assumed I needed a few months at the very least. The timing was perfect since it was that time of the month. So I tried it, and I really really liked it. Being pessimistic on the *trial* period was beneficial pala, I did not have any expectations on the brand and so I started on a clean slate. 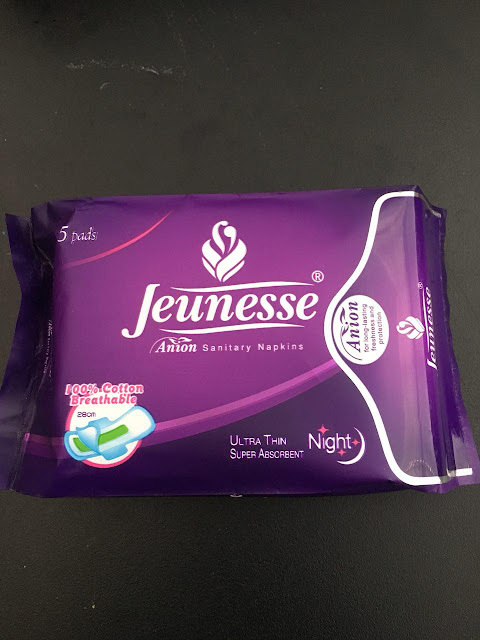 I was very much impressed with the Jeunesse feminine pad to be honest. I felt the difference almost immediately. You see, when I have my period I already know the the cycle of what will happen. But when I started using Jeunesse Anion feminine pads, the *cycle* that I was already used to, changed drastically. I would be feeling really bloated, sluggish and coupled with cramping here and there. I would be changing pads often because of the very heavy flow. For the past months - when I would go out I would bring an extra set of clothes (+ undies) because I was afraid of having those unfortunate incidences. I would usually turn down events when it was that time of the month because of my very heavy period. A habit too was that before I sleep, I would lay out an additional layer of protection on my bed. I would put those bubble sheets (the ones used for babies) on my side of the bed to avoid staining the bed sheet and mattress because of my very heavy flow. I would do this every night until my period stopped. But after trying Jeunuesse Anion pads my cycle drastically shifted to the better. I honestly did not expect it to change that fast or even at all. I mean, diba? One time use, really? But seriously - it really did. I felt the change almost immediately. I wasn't as sluggish, in fact I was on the move. I was not worried of an overflow so I did not feel the need to bring extra clothes - I did bring extra pads. I felt more normal, no cramping and I didn't feel irritable. I was actually in a very positive mood! I made sure to notice what I felt since I was using the Jeunesse pads and I'm very happy with the results. I really do think that the Anion strip really made a difference. Placebo you'd say, but you know what - I felt better, I didn't feel like I needed to slow down during my period. See that green strip? 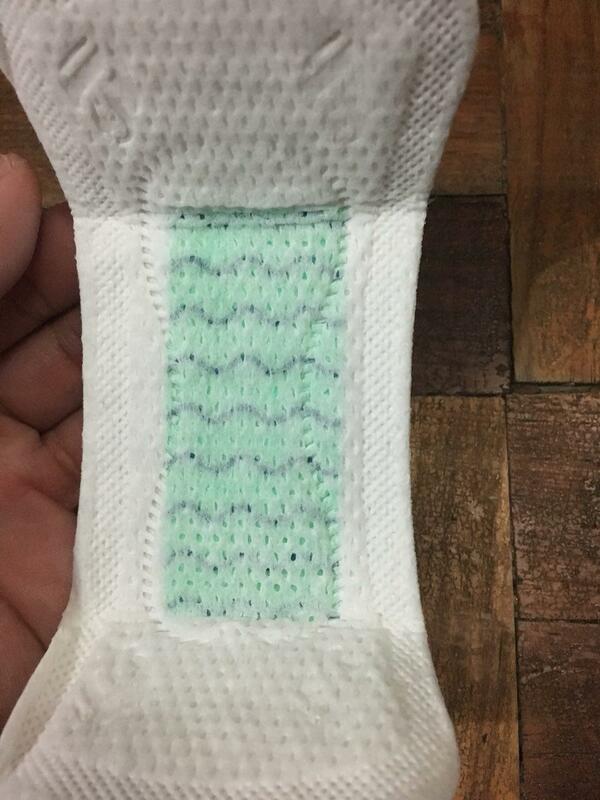 Well, all the feminine pads had that Anion strip on them. The anion strips emit negatively-charged molecules. These negatively charges molecules help maintain freshness and protection, it also helps ease menstrual discomfort. One thing I observed, was that whenever I went to the bathroom, I would feel the heavy flow of period gush through. I never experience anything like that before with my old pads. And it felt really nice as I feel that the gush was *properly* eliminated. I would change the pads often too but the pads, I noticed were not as full compared to the other brands that I used before. I really felt more clean and fresh. Because I tried it, I'm now a believer of the brand. 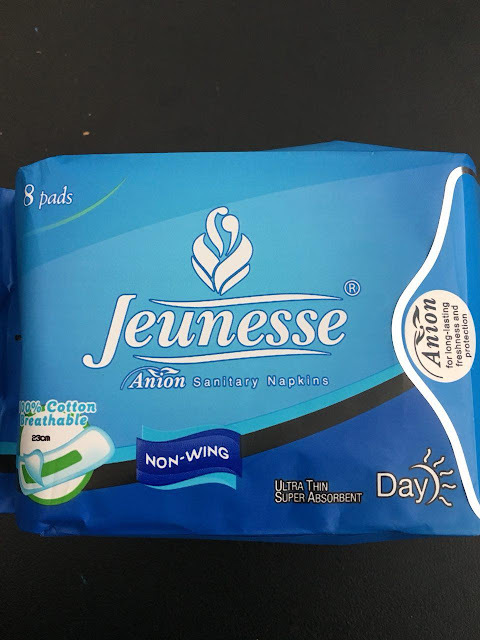 I honestly forgot what it was like to use a non-wing (ever since having used *wings* in the past) but with Jeunesse Anion, I like using the non-wing variant. I actually preferred it over the non-wing, weird ba? I felt really protected already. Haha! I think that's the most important thing, that we have the option to use non-wing or wing. I assumed that all napkins had wings nowadays. Hihi.. I was wrong! The packaging is really nice too as its RESEALABLE. Yes, you read that right - resealable! When I saw the pack I was wondering on how to open it. The pack was sealed shut without any perforation for easy opening. Then I noticed something on the side of the package - I discovered, it was a sticker of sort that you peel to open and then it sticks back on to close and protect the whole pack. Brilliant right? I am now a believer of Jeunesse Anion napkins. 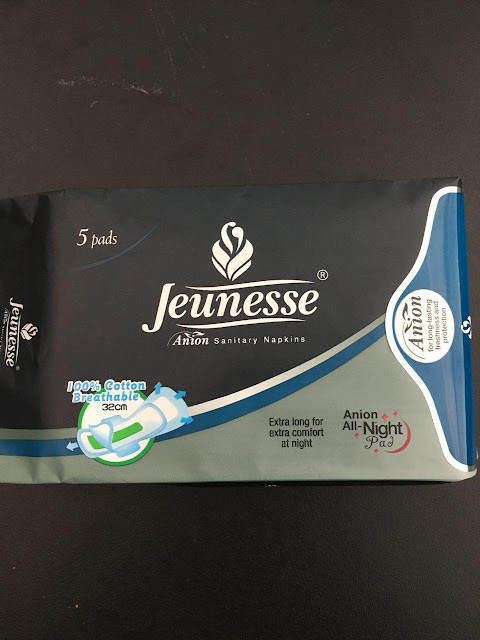 Jeunesse Anion sanitary napkins area available at Watsons's, selected Mercury Drug Stores and South Star Drug Stores, SM Department Stores health and beauty section, Robinson's Department Store and Supermarket, Landmark Department Store, PCX, Shopwise, Metro Gaisano and Waltermart. You can also buy them online at Lazada.